Send a Friend Request | Last Seen Playing "Tomb Raider"
XCOM: Enemy Unknown will place you in control of a secret paramilitary organization called XCOM. As the XCOM commander, you will defend against a terrifying global alien invasion by managing resources, advancing technologies, and overseeing... more info.. 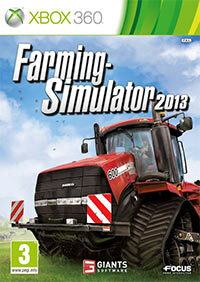 Welcome to the largest and most exciting Farming Simulator yet! Farming Simulator 2013 is bigger and enriched with many new features and packed with content, challenging you to take on the role of a modern day farmer. Animal husbandry, c... more info..
Payday 2 is the sequel to Payday: The Heist. Payday 2 is an action-packed, four-player co-op heist shooter that once again lets gamers don the masks of the original Payday crew – Dallas, Hoxton, Wolf and Chains. 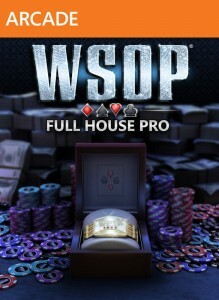 The new CrimeNet ... more info..
World Series of Poker: Full House Pro lets players build their bankrolls as they compete against opponents from around the world. Feature include: flashy avatar accessories, amazing chip tricks, and real-world casinos.... more info..
Obut Pétanque 2 is a French lawn bowls game.... more info..
A new era in fighting games is coming. From the makers of Mortal Kombat - Injustice: Gods Among Us. What if our greatest heroes became our greatest threat ? Injustice: Gods Among Us debuts as a bold new fighting game franchise that... more info..
A sequel to the now trilogy, this game differs from the first two games by not being set in Rapture, but on a floating island called Columbia. More splicer mayhem with the ever prevalent hacking and plasmids! The twis... more info..